EISF has partnered with DisasterReady.org to launch two WebTalks on the why and how of good security risk management. 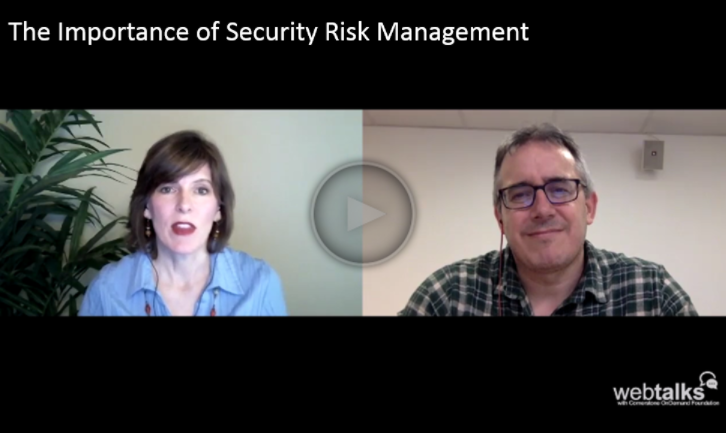 Watch Gareth Owen from Save the Children UK speak about why security risk management is important for humanitarian programming, and Lisa Reilly from EISF talk about how to implement good security risk management. Gareth Owen – Save the Children UK’s Humanitarian Director – shares why he thinks security risk management is important for gaining and maintaining access to populations in need. In addition to supporting access, effective security risk management aims to reduce risk to the greatest extent possible and thereby supports an organisation in meeting its duty of care responsibilities towards staff. Based on Gareth’s own experience, in order to establish a strong security culture, an organisation needs high level championing, from the Board of Trustees down all the ranks of the organisation – no one is above following security policy or procedures. Good security risk management takes time, investment and leadership championing. Good security risk management creates better programme implementation, and that is ultimately why organisations are operating where they are. Listen to the WebTalk on DisasterReady’s portal here. 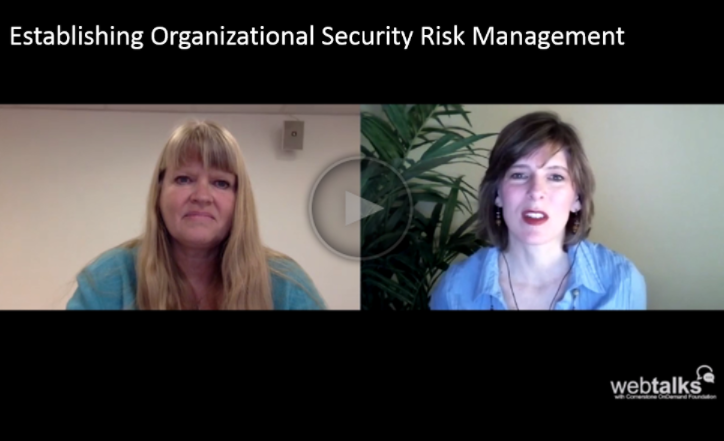 Watch Lisa Reilly – EISF Executive Director – talk about how to implement strong security risk management with Tina Bolding, the Director of DisasterReady.org. The responsibility for managing security risks does not sit on the shoulders of security focal points but remains within the management line. It is therefore important for programmes staff to think about how security risks affect their ability to implement their programmes and make sure that they understand these risks and that the mitigating measures are embedded within programme development, design and implementation. Lisa discusses EISF’s latest guide Security Risk Management: a basic guide for smaller NGOs, which highlights the building blocks of an effective organisational security risk management framework. This framework serves as a foundation on which an organisation can base its discussions and build its security risk management culture, policies and practices. Lisa stresses that security risk management is not about high walls and barbed wire, nor is it about prohibitive procedures. Security risk management is about enabling aid workers to gain access to implement their programmes both sustainably and safely.